LED Globe G40 String Lights is perfect for any special occasion, adding a warm and charming festive accent to your gatherings. Brightown offer one-year quality guarantee for all products. 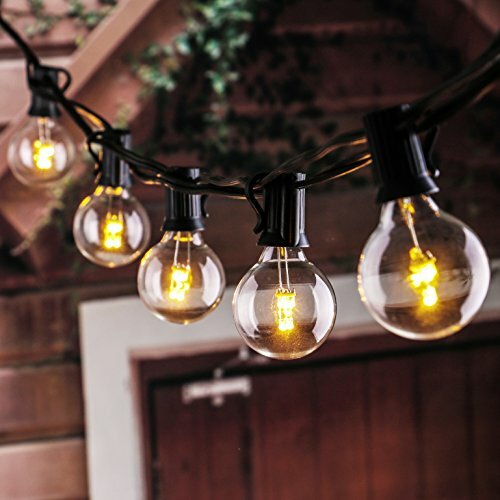 25 feet long string with 25 LED clear G40 Bulbs,connectable up to 20 strands (=500 Ft),much longer than traditional bulb type. LED Light bulbs have candelabra (E12) socket base, 0.4w/Bulb, much lower wattage will save you much bill, cool to touch.